Terracotta plant pots can bring form and life to new areas of the garden. They add colour, perfume and interest. Large planters create impact and create space for creating a kitchen garden, while smaller planters add variety and interest. 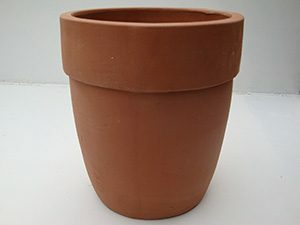 Our range of terracotta plant pots will enhance any garden patio or terrace. They come in a wide range of shapes and sizes including cubes, cones, cylinder and the traditional Tom Terracotta Plant Pots. Have you considered planting Bonsai Trees? Our Low Tom Terracotta Plant Pots are ideal for planting Bonsai Trees. The terracotta is very dense with a high grit content resulting in robust, rough textured Terracotta plant pots.